A photo from Google Maps shows what looks like a UFO over Kilauea in Hawaii. We don’t know what the date or time the image was captured or what speed the object was travelling at. Neither do we know if the photographer noticed the object in the sky whilst the images were being taken. 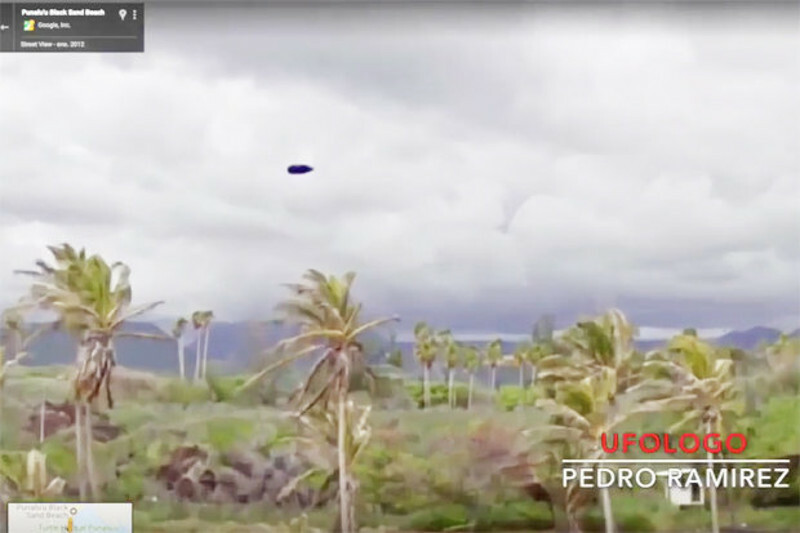 Self-proclaimed ufologist out of Mexico City, Pedro Ramirez, has been analyzing the picture and speculates that the location was Punalu’u Black Sand Beach. He goes further to say that the photographer was facing Kilauea from there. He posted the picture on his Facebook and Youtube and several news sites picked the story up from there. Ramirez also claims that lots of UFO reports have come in from the same island in the picture. UFO researchers say that UFOs around and near volcanoes are nothing new. There are lots of theories about why this happens. Some of the Ufologists think that the UFOs are capturing some sort of power from the eruptions. Others think that the UFOs are there to monitor seismic activity. And then there’s a third school of thought on the subject that says that the UFOs may actually be triggering volcanic eruptions and causing earthquakes. Was it actually a UFO over the volcano in the picture? Will Google release more information about the picture? Is it just a drone? If it was a UFO, why was it there?